Are you looking for a cheap way to move across the country but worried about the fortune it might cost you? Moving cross country on a budget is quite a challenge. You might be thinking about the huge amount that it may cost to travel to the other side of the country. But it doesn’t have to be so. There are many ways in which you can save your money and move at a cheaper cost. If you start planning and budgeting in advance you can achieve an affordable yet convenient way to get your relocation done. By making some smart choices and a little strategy you can make the long distance move in an expensive way. A great way to cut your cost at the very onset is to plan a time to move that is off peak season. A lot of people travel at this time of the year and hence transportation charges go off the charts. 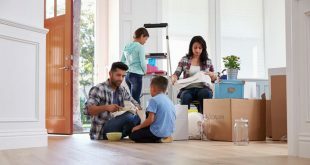 You can save your money by moving in days before or after these peak times or in the middle of a week. Gathering free moving supplies like boxes and containers can cut a lot of your costs. You can contact local stores in your current area to see if they have free cardboard boxes. You can visit various stores and ask them if they have spare boxes. Grocery stores, bookstores and liquor stores generally have a lot of cardboard boxes to give away. Professional movers can cut a lot of hassle while moving. You don’t have to worry about the packing and planning stuff. These professional labors will take care of such concerns. Before you hire professionals, do your research and look for the offers and discounts that the various cross country moving companies have to offer. Judge the pros and cons and select a company that gives you the best out of your money. The cost of moving is highly dependent on the amount of stuff that you need to move. So in a way you can control the expenditure by getting rid of the stuff that you do not require. You can head up to sites like Craigslist to sell off the items that you won’t require or donate the usable items that cannot be sold. In this way, you can reduce the cost of your moving to a significant extent. Heavy objects like bookcases, couches etc cost a lot of money. If you are on a budget you can leave these heavy items behind and replace them once you have moved. Put some logical thinking behind these expenses so that you can save on your expenditure. Use the mail to ship your lighter essentials like clothes, books etc. you can choose to do your shipping via post office, UPS or any other service. Shipping through mail is relatively affordable and you will save yourself a lot of money in the process. Renting a trailer is yet another great way to make your cross country move and probably the cheapest way to move your goods. You can contact the company for detailed estimates. Although you have to pay for gas and unload the stuff yourself but the service is trustworthy and saves a lot of moving cost. 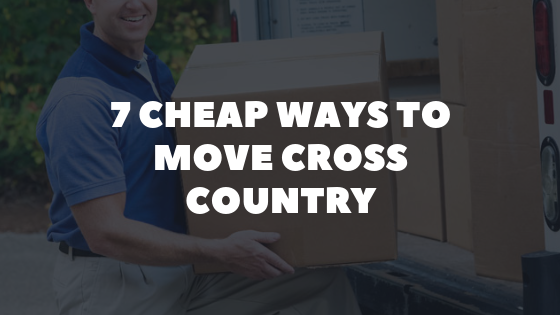 The idea of cross country move may seem a little daunting considering the amount of money it may cost you. But following the tips mentioned in this article we are sure you can save a lot on your budget and enjoy the new chapter of your life. Previous Bed Bug Traps – How Effective Are They? Next What Are My Options for a Quick House Sale?